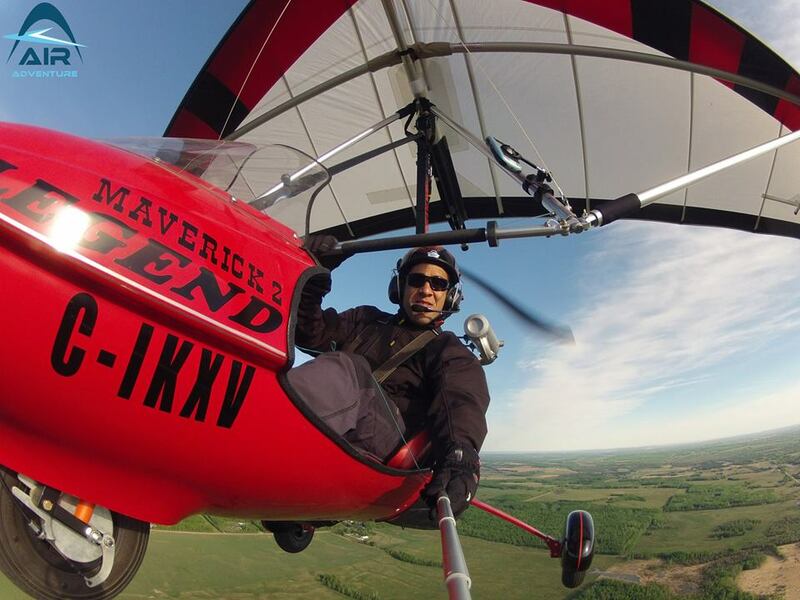 We offer complete flight training by Transport Canada certified professionals for ultralight trike (powered hang-glider). 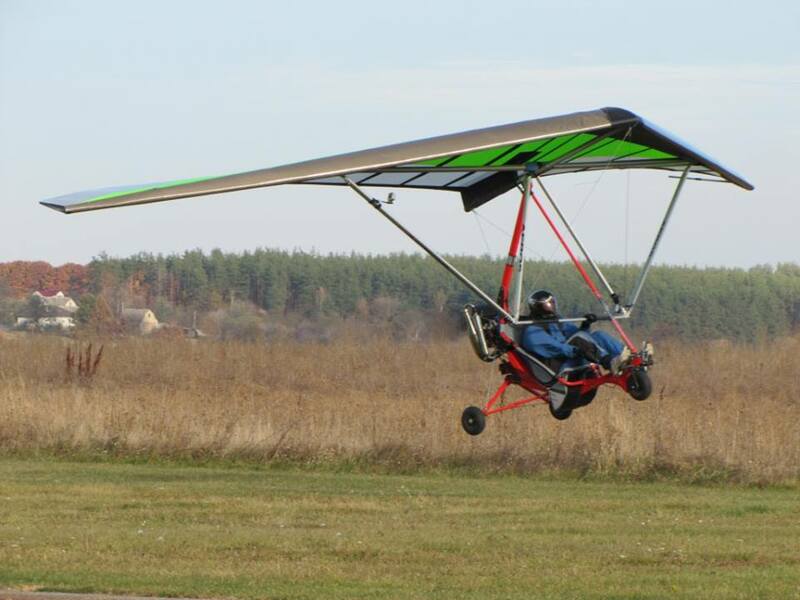 A trike is a ULA (Ultralight aircraft) composed of a robust hang-glider and a powered tricycle. This aircraft can takeoff from a runway or a field and can fly at an average speed of 90 km per hour. The typical autonomy is 3.5 hours and therefore large distances can be covered. Some people have traveled around the world with that type of aircraft. One unique characteristic of this aircraft is the large weight it can carry compared to his empty weight. A two seater trike ultra-light can carry more payload than a Cessna 152 for the same flight autonomy! Another interesting characteristic is that it can be folded in 20 minutes and stored in a small place like a home garage or carried on a small trailer. Join us on your first flying lesson and take to the skies with our certified and friendly instructor. There are no prerequisites or requirements to enjoy this initial flight except for the desire to experience something new, exciting and addictive. Flight duration range from 15 to 60 minutes so you can choose how much fun you would like to have. This is a hand on experience so you will have a pre-briefing before the flight to understand the aerodynamics and weather affecting the aircraft. During the flight you will have the chance to be the pilot and steer the aircraft. All this as you enjoy the view of Drayton Valley from the air. At the end of the flight you will know if that was enough, if you want more or if you would like to become a pilot. We are there to guide you every step of the way. The Trike course plan is similar to a conventional pilot license course but the requirements to obtain an ultralight license are much less demanding. The aircraft is also much easier to fly and the cost is much lower which make this type of flight more accessible to all. In Canada 2 axis ultralights (Trike) are regulated by Ministry of Transportation and pilot is required to have an ultralight pilot permit to operate one of these aircraft. We provide Trike instructions from our private airfield at round valley, Alberta. We use "The Scout XC", from North Wind powered by the best and most reliable engine Rotax 912 engine for dual instruction. Simonini Mini2 200cc, 26 HP two stroke engine. A typical lesson will last one hour and will start with a pre-briefing, fallow by a practice on-board of the trike and finish with a debrief review of the exercise and preparation for the following lesson. To obtain an ultralight pilot license, you need to be at least 16 years old, you have to fly a minimum of 10 hours of which 2 hours are in solo flight and you must accomplish 30 take-offs and landings which 10 most be as a sole occupant. The future pilot must also attend a theory class, pass a written exam with Transport Canada (ULTRA), obtain a medical certificate and get a recommendation from his flight instructor. Your instructor will give you all the information you need on the training plan. If you would like to know more, visit Transport Canada website for details.